Does being a soldier ever make you smell? Do other soaps leave you smelling like flowers? Have you ever wanted to smell like the Holy Pear himself? Then you need Pear Soap! 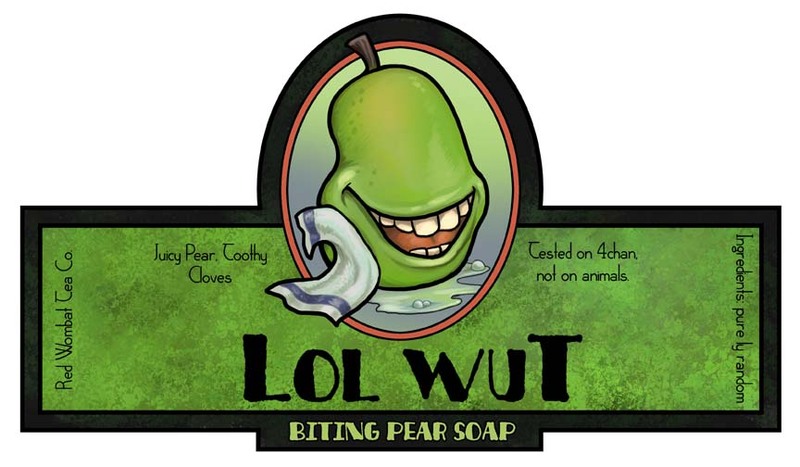 From the Red Wombat Tea Co. and Pears Incorporated, we bring you LOLWUT Biting Pear Soap! Now you can smell like a pear any day of the week for only $59.99! So grow a pear and buy yourself some Pear Soap! The Global Defenders’ Army is not responsible for any side effects or symptoms. These include smelling yourself excessively, feeling awesome, and being stalked by Pungy. The Global Defenders’ Army will provide all exorcisms for any unholy allergic reactions. “Being stalked by Pungy.” Your kidding right…..?